If you suffer from gastroesophageal reflux disease (GERD), you know that finding relief can be difficult. Many doctors initially treat with medication, however, some patients find their symptoms are not being controlled or are getting worse. An advanced treatment may be the solution. Saint Francis Medical Center is the first hospital in the region to offer the LINX Reflux Management System, a new service that solves acid reflux without medication. Acid reflux disease is a result of a weakened lower esophageal sphincter (LES). The LES is a natural barrier between the esophagus and stomach which is usually closed but allows food and liquid to pass into the stomach with swallowing. When the LES weakens or is distorted by a hiatal hernia, stomach acid can reflux into the esophagus causing heartburn. The LINX device wraps around the LES, strengthening it and preventing acid reflux. Unlike Nissen fundoplication, the barrier created by LINX is dynamic and allows patients to belch and vomit. Proton Pump inhibitors treat heartburn symptoms by reducing acid production in the stomach. The weakened LES (or hiatal hernia) is not treated, meaning PPIs treat the symptom, not the problem. Over time, the disease can progress and PPI therapy can lose its effectiveness. Eighty-five percent of LINX patients were able to stop using PPIs after undergoing the procedure, according to a five-year study of 100 patients published in the New England Journal of Medicine. In addition, heartburn-related quality of life scores were significantly improved for patients after LINX placement. The procedure is usually completed in less than 90 minutes. If a hiatal hernia is present, it will be repaired at the same time. 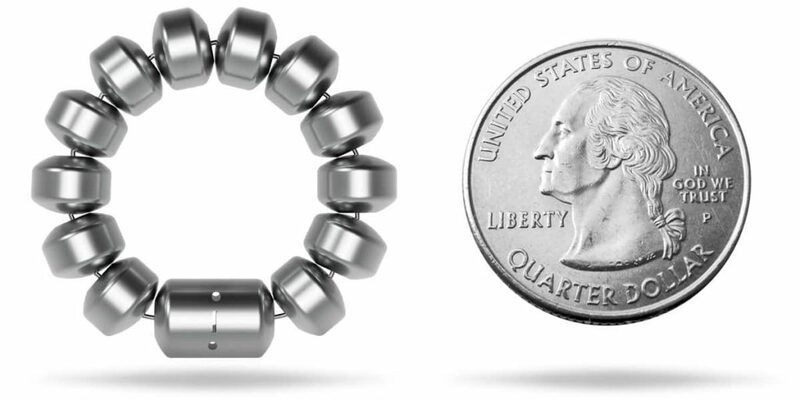 The LINX device is implanted around the esophagus and can be removed if necessary. Removal rate for all causes in the United States is less than three percent. Not all patients are candidates for the LINX Reflux Management System. To learn more about LINX, please attend one of our upcoming free seminars.